There were no changes in the top 8 of the European Bowling Tour men’s point ranking this week. 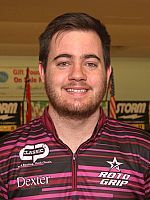 Anthony Simonsen, United States, continued to lead the annual rankings after 11 out of 12 events this season with 594 total points. 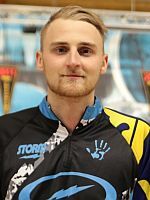 2017 point leader Carsten Warming Hansen of Denmark was the lone top 10 bowler in the Rome Open All4bowling earning 20 points in the EBT “satellite” event, the lowest of five EBT tournament categories (platinum, gold, silver, bronze and satellite). Hansen remained in fifth place with 421 points. Oliver Morig (featured photo) of Germany received 50 points for his victory in Rome to leap into 42nd place with 113. 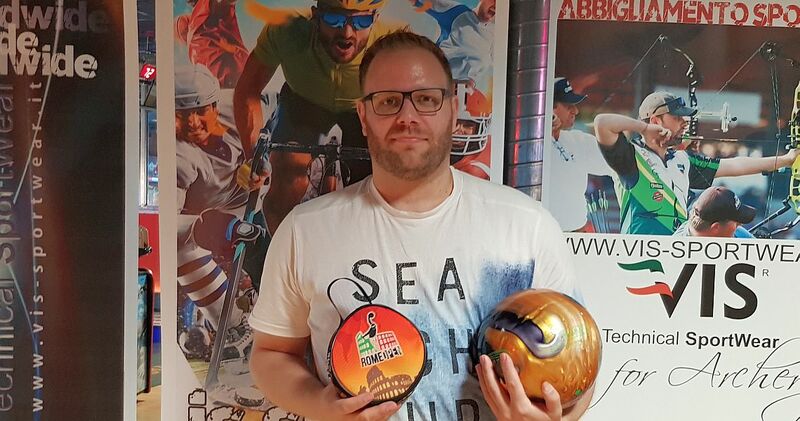 Simonsen (right), a two-handed right-hander, who owns four Professional Bowlers Association titles along with one EBT title (30th Irish Open Championships) and Jesper Svensson of Sweden are the only players who have a chance to win the 2018 men’s ranking. 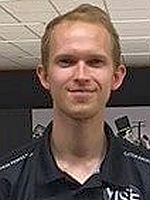 Svensson, a two-handed lefty who owns eight EBT and seven PBA titles, is 57 points behind Simonsen in second place with 537. 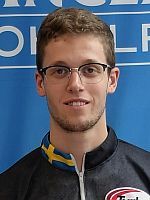 If Svensson would compete in the season-ending Norwegian Open 2018 by Brunswick and Simonsen wouldn’t, the Swede needs to finish in the top 4 to overtake the American. If both would compete, Simonsen needs to finish eighth (44 points) or higher to shut out Svensson. As none of the two has registered for the event so far, Simonsen would become the 2018 men’s point ranking winner and Svensson, who led the ranking in 2015, could not fall lower than third. Rounding out the top 8 who will qualify for the EBT Masters in 2019 are 3. Thomas Larsen (right), Denmark (439), 4. Pontus Andersson (left), Sweden (438), 6. Kyle Troup, United States (375), 7. Rafiq Ismail, Malaysia (370) and 8. Christopher Sloan, Ireland (354). The 2018 European Bowling Tour features 12 tournaments in 10 countries including two “platinum”, two “gold”, three “silver”, two “bronze” and three “satellite” events, which will offer total prize fund of roughly 625.000 Euro.